In honor of its 100th anniversary, the Jewish Federation/Jewish United Fund launched The Centennial Campaign, a comprehensive menu of giving opportunities to help secure the future of our community and the Jewish people. Legacy Fund - The most flexible of the endowment gifts and the only source of emergency resources, enable the JUF/Federation to respond to crises and opportunities whenever and wherever they occur. Campaign Continuity Funds - Sustain a donor's annual gift to the Jewish United Fund in perpetuity, providing crucial support for Federation initiatives, at home and abroad, today and for generations to come. Centennial Projects- Provide donors the opportunity to fund high-priority capital or programs. Agency and Day School Endowment Gifts - Ensure that the network of services that are the lifeblood of our community will be available to future generations. Whether giving during one's lifetime or through a bequest, a gift to The Centennial Campaign offers specific tax benefits, depending on the nature of the gift. The Federation's experienced gift-planning professionals will be pleased to discuss the tax-advantaged ways to structure a Centennial Campaign charitable gift. For more information, please contact us at (312) 357-4853 or legacy@juf.org. The Centennial Campaign Wall stands as an eternal tribute to the donors' extraordinary generosity. Names of donors to The Centennial Campaign are prominently recognized in the design of the new Federation headquarters at 30 S. Wells St. The centerpiece of the lobby is a stunning western wall of stone, soaring 17 feet high and bathed in light. A Jerusalem stone scroll of honor is mounted upon this spectacular setting and engraved with the names of individuals and families who are participating in The Centennial Campaign. The Legacy Fund is our unrestricted endowment fund, which generates income for immediate use while its principal remains intact. Gifts to the Legacy Fund are crucial for the well-being of our community, and are the only source of emergency funds in times of extreme distress. Aiding families in need during the Depression, including helping the Marks Nathan Jewish Orphan Home which later became part of Jewish Child and Family services. During World War II, the Legacy Fund provided relief to affiliate Jewish organizations, including Michael Reese Hospital. Helping Israel with its efforts in The War of Independence with a million dollar allocation. Providing Israel with a $500,000 loan during the Six Day War to help cover welfare costs. Granting one million dollars and loaning $3 million to United Jewish Appeal (UJA) during the Yom Kippur War, which was the largest single community gift ever received by the UJA. During the Lebanon War, also known as Operation Peace for Galilee, the fund provided Israel with a million dollar gift, and a $3 million loan. A gift to the Legacy Fund is the only way to ensure that our community has the resources to meet future needs. The Legacy Fund gives the Federation the ultimate flexibility-to seize opportunities and address unforeseen challenges. Perpetuate your family name, the name of an honored individual and your commitment to Jewish continuity by establishing an annual endowment fund. An annual endowment permanently endows your annual gift to the Jewish United Fund Campaign. By providing a permanent endowment you will help JUF prepare both for needs we can anticipate and for unexpected occurrences. Your endowment fund can be created using almost any type of asset, including cash, appreciated assets (such as common stock, real estate or bonds), or valuable jewelry or works of art. We will invest your gift to maximize its value, thereby insuring that the income produced funds an annual Campaign gift in your name. Meanwhile, the principal remains intact as a permanent resource for the Jewish community. Today's Jewish women can perpetuate their own names and their commitment to Jewish continuity by establishing a Lion of Judah Endowment (LOJE), a fund that permanently endows a woman's annual gift to the Jewish United Fund Campaign. Why should I establish a LOJE? Locally, LOJE funds will enhance the Jewish people through education and other community programs that bond us to our Jewish heritage. Worldwide, endowment funds will help Israel continue to flourish as a home and safe haven for Jews. By providing a permanent endowment through a LOJE, you will help JUF prepare both for needs we can anticipate and for unexpected occurrences. How do I establish a LOJE? To establish a LOJE, you endow a gift of at least $100,000 to JUF. Your LOJE fund can be created using almost any type of asset, including cash, appreciated assets (such as common stock, real estate or bonds), or valuable jewelry or works of art. We will invest your gift to maximize its value, thereby ensuring that the income produced funds an annual Campaign gift in your name of at least $5,000. Meanwhile, the principal remains intact as a permanent resource for the Jewish community. How do I benefit from a LOJE? 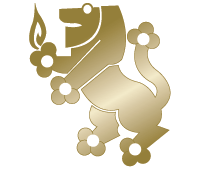 In addition to receiving an immediate income tax deduction for your endowment (and a subsequent deduction for any year that you add to your LOJE), Lion of Judah Endowment donors enjoy an elite camaraderie and proudly wear the Or L'Atid flame on their Lion of Judah Pin, an attractive LOJE pin that announces to the Jewish world that they have taken action to ensure Jewish continuity and survival. What are my endowment options? A simple bequest in your will or trust. A life insurance policy naming Jewish United Fund of Metropolitan Chicago as owner and beneficiary. A Charitable Gift Annuity or Charitable Trust, which provides you with income during your lifetime, with the remainder forming your LOJE fund. A Donor Advised Fund, from which you can recommend charitable distributions during your lifetime, with the remainder forming your LOJE fund. Naming Opportunities and Capital Projects are major gift commitments that support Jewish life for our community and for future generations. These gifts give you the opportunity to fund a program close to your heart and help carry that program into the future, in your name or after a loved one. They support a broad range of Jewish Federation programs and/or capital projects in Chicago, Israel, and in Jewish communities around the world. Underwrite a project of special merit and commemorate your family name or the name of a specific individual in perpetuity. Name a building, fund a portion of a building, or establish a named endowment to leave a permanent legacy that benefits the Jewish community. These generous gifts are major commitments that are made in addition to one's annual gift to the Jewish United Fund-Israel Fund Campaign. To learn more about these innovative funding opportunities, please contact us at (312) 444-2827 or legacy@juf.org. The Jewish Federation and the day school community have joined together in a unique partnership to help ensure that every Jewish family has the opportunity to choose a day school education -- regardless of financial ability and stream of religious commitment. Benefits all 17 Federation supported day schools by providing additional resources to each school on a per student basis. Designed for those who wish to support a particular Jewish day school participating in the program. * These schools have also established their own Endowment Foundations in partnership with the Jewish Federation. For further information, please contact us at 312-357-4853 or legacy@juf.org. The Agency Endowment Program is a partnership of the Jewish Federation of Metropolitan Chicago and eight affiliate and beneficiary agencies to help ensure the future of their vital programs and services. For more information about gift annuities and other planned giving opportunities, please contact us at (312) 357-4853 or legacy@juf.org.